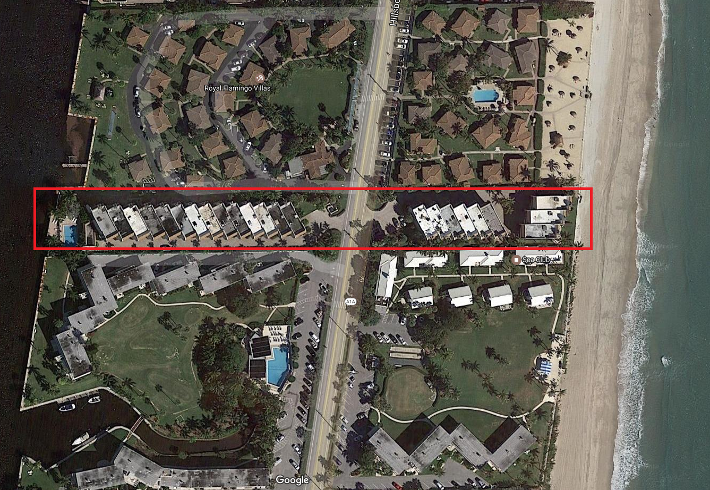 Located in Broward County, Ocean Vista townhomes are located on the East & West side of A1A. Some units face the ocean while others face the intracoastal. Built in 1979, there are 8 townhomes on the East side and 14 on the West side of the road. These 3 story townhomes usually include 2 garage parking spaces, are pet friendly, intracoastal front community pool and low community fees. Take A1A one mile south of Hillsboro Blvd, the townhomes are on the East and West side. Between the Hillsboro Inlet & Hillsboro Blvd. Learn more about what makes Ocean Vista an exceptional place to live, or browse through some of our listings below. Contact us today to make Ocean Vista condos your new home!